"If you follow the PAL process, you will get the desired training result! The process includes clearly defined, well–structured tools that will definitely benefit both training professionals and line managers to achieve training effectiveness." 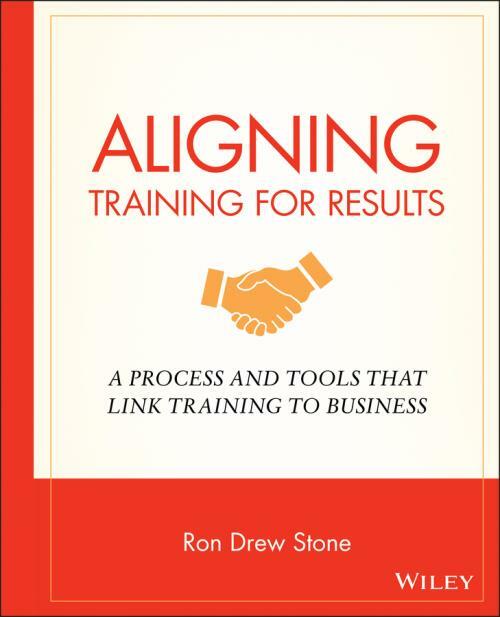 "Ron′s book is a much–needed contribution to the training profession and provides a refreshing view of how a results–centered training process should function. ?His process provides the guidance to initiate and sustain alignment with the business, and his tools and templates provide the how–to." "At last, a book I can use as a guide to ensure that our programs are designed for business needs and stay aligned throughout the training process to achieve business results. A great contribution to our profession and a great resource for training fellows." Sunny Niu Peie, regional director, Field Force Effectiveness, Japan/Asia, Pfizer, Inc.
"Ron′s work is a key resource for all of us in the learning space. Two concepts in particular are not to be missed: the Performance–Centered Framework is a great blueprint for building alignment with business challenges and the Active Management Reinforcement connects the performer with the manager and the work setting and the work, a perfect recipe for success." "This is a brilliant book that is packed with sage advice and instructive examples. It moves the traditional trainer role into one of performance consultant. The author provides numerous tools and strategies that will allow all professionals to be guided in assisting their stakeholders to achieve transfer of skills into the workplace. A must–read for those who want to align their learning initiatives to business outcomes." Pam Poggi, vice president, Corporate Human Resources Development, Safeway Inc.